Ok, so these are my absolute new addiction. Thanks to some mouthwatering Instagram posts, I decided to make these. And have continued to make them probably weekly. And I wonder why I find it impossible to lose any weight?! You could spend a lot of time on that website, just a fair warning! Place almond butter, coconut, coconut oil, honey and salt in a food processor and puree until smooth and well combined. Place in freezer for 30+ minutes until set. 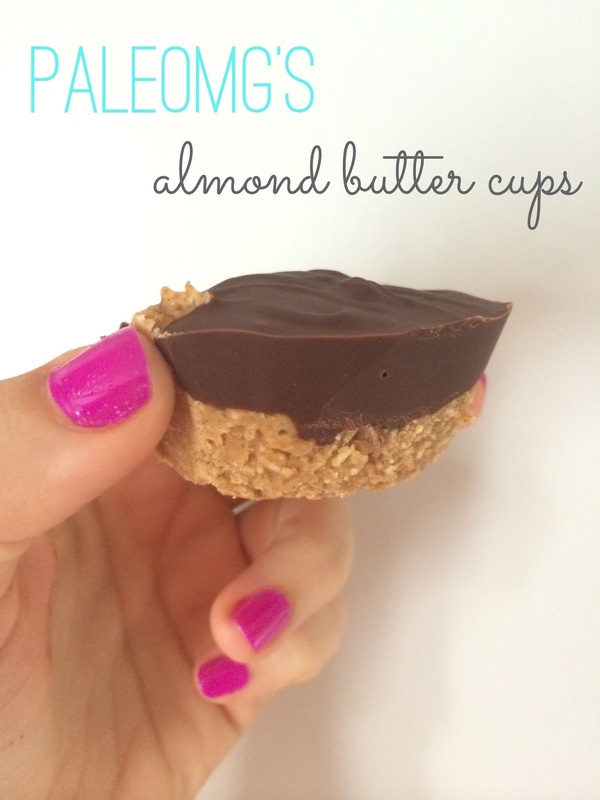 Use a sharp knife to pop out each almond butter cup. Store in freezer and remove 5 minutes before eating to help soften the chocolate. I found the Life Chocolate Chips and the shredded coconut in the health section of my local grocery store. Everything else I already had in my pantry. So simple, fast and delicious!